The other photos show that we had to take the plane down to darned near bare metal. We don't get State nor Federal funding and could not afford chrome--so the leading edges were taken to bare metal and buffed by hand to have the chrome finish. At last we were able to begin painting. 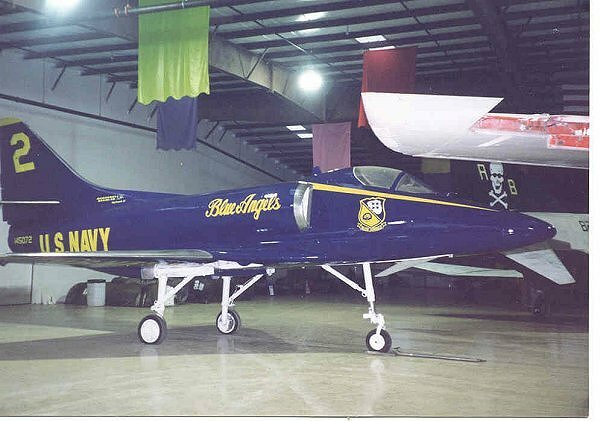 The blue is sprayed and the insignia are decals the one or our volunteers made. She now resides in the front of our museum (quite an eye-catcher). There are approximately 9,000+ volunteer hours at this point in her restoration. We still have work to do. 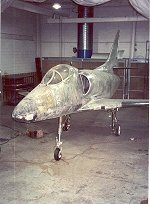 click on the bare metal aircraft.